Penguin Basements | Why a finished basement? 15 Sep Why a finished basement? Why indeed? Maybe you are using your basement to it’s fullest with items and souvenirs, and toys and tools, and boxes filling every corner of available space. Or maybe your basement is dark, cold and dingy and not a space you would want to spend any time in anyway, right? Basements are typically among the largest rooms in a house, giving them the potential to be redesigned in a variety of ways. This unused space could be used for organized storage, rather than a chaotic catch-all. Or it could become a man cave, a home theatre, a kids playroom, a 50’s dinner, a pool hall, a spa, or even a rental apartment. Or any combination of the above. The options really are only limited by your imagination, and to a lesser extent, your budget. By simply adding walls, insulation and durable vinyl flooring you already make the basement a more inviting and usable space. But why stop there? Consider larger windows or an added walk-out, or if budget dictates it, brightening your basement with great lighting design. Add a gas fireplace for warmth and ambiance. 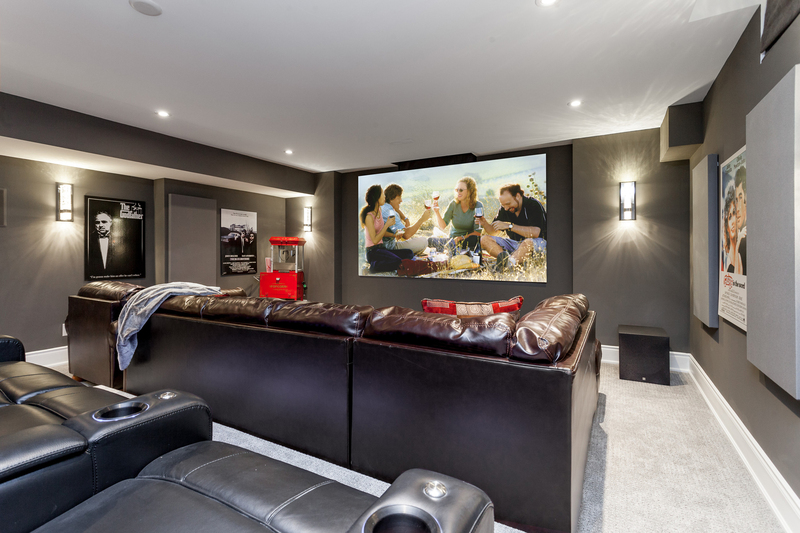 The basement is the ideal place for a home theatre as a larger screen won’t overpower a room like it might upstairs, and screen glare is likely to be less of an issue. Add in a decent sound system and you have an evening escape that is better than any movie theatre in town. Add it a kitchenette, or bar and and a popcorn maker and you have a room that will draw you in on a regular basis. Consider adding an additional washroom to free up the one upstairs, or again go further and create a spa retreat. And speaking of retreats, a basement is the ideal space in which to add an additional bedroom as a guest room, or with additional work as the basis for a rental unit, and some extra passive income which could help you finance a better lifestyle. Basements generally began as a builder’s afterthought, a place to hold ductwork, a furnace and not much else. But with a little imagination on your part, and a lot of experience on ours, we can help you turn that unused space beneath your home into something truly magnificent. A home simply isn’t finished until the basement is.